Come support PSP and have a wonderful time in the sun, sand and surf at the Pacifica Fog Fest! 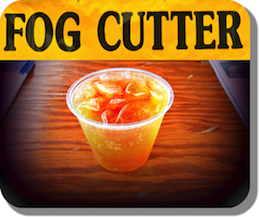 PSP will man the “Fog Cutters” booth located at the south end of Palmetto (near the sound stage) at the annual Pacifica Fog Fest once again this year! For the uninitiated, a Fog Cutter is a famous local Pacifica cocktail, loved by all who return to our booth year after year. This is a great fundraiser for PSP, and we would really appreciate your help by stopping by our booth for a Fog Cutter! The Fog Fest is located on Palmetto Ave. in Pacifica between Shell Street and Montecito Streets, running September 23 & 24, 10am – 6pm and ADMISSION IS FREE! It’s really fun to work the Fog Cutter booth. Volunteers (aged 21 and over only, please) either mix the drinks in the back, or sell & schmooze in the front. When at the Booth, please talk up our current show, our next show, plus our amazing 2016-2017 Season. We’ll have brochures & show info to hand out to patrons. If you can help staff a 3-hour shift, sign up online!